This rack was designed so the user has the option to remove the inner rack shell. This is very useful for rental companies, or other applications where gear is constantly changing. The removable shell design allows the user to interchange multiple inner shell configurations in one outer case, instead of changing the gear mounted in the rack. Here's an example of a real world application: Let's say that in one week a company need's to rent an EQ rack and a multi channel wireless system on separate days. With the inner shell system, you can have each system mounted in its own rack shell. When your EQ rental returns, remove the EQ inner shell and replace it with the wireless inner shell. This allows you to create pre-wired modular systems at a substantial cost savings because you only have to purchase the inner rack shells instead of an entire rack. The inner rack shell idea is also useful for corporate events or other situations where your client needs your equipment to be as transparent as possible. 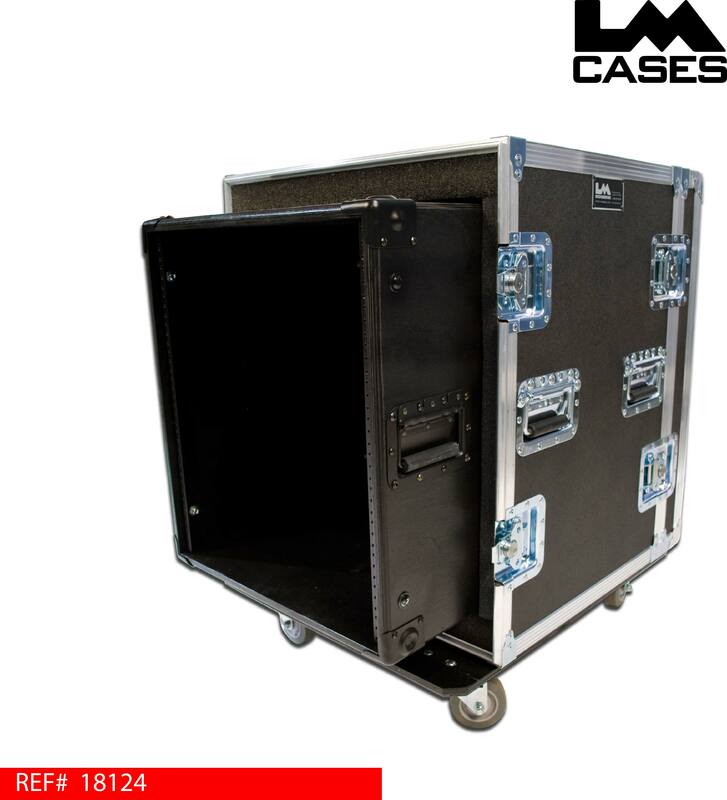 A black painted birch rack shell is much better looking than a beat up road case, the outer case takes the beating and the inner shell stays clean and scratch free. 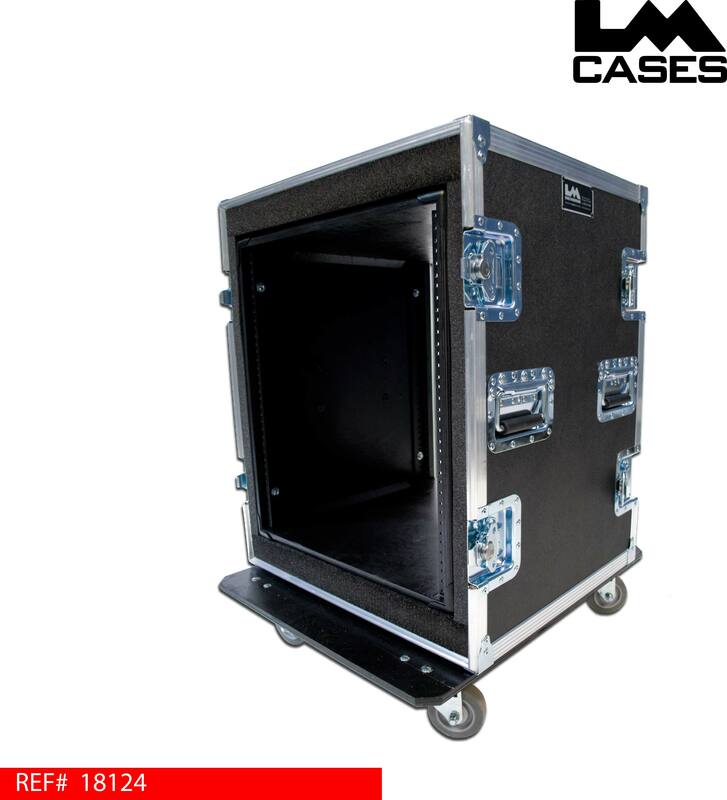 Specs: The pictured case features a 1/2" ATA outer case, and a 3/4" birch inner rack shell. The outer case has 2" PE foam lined interior allowing the inner shell to slide in and out without tearing the foam. 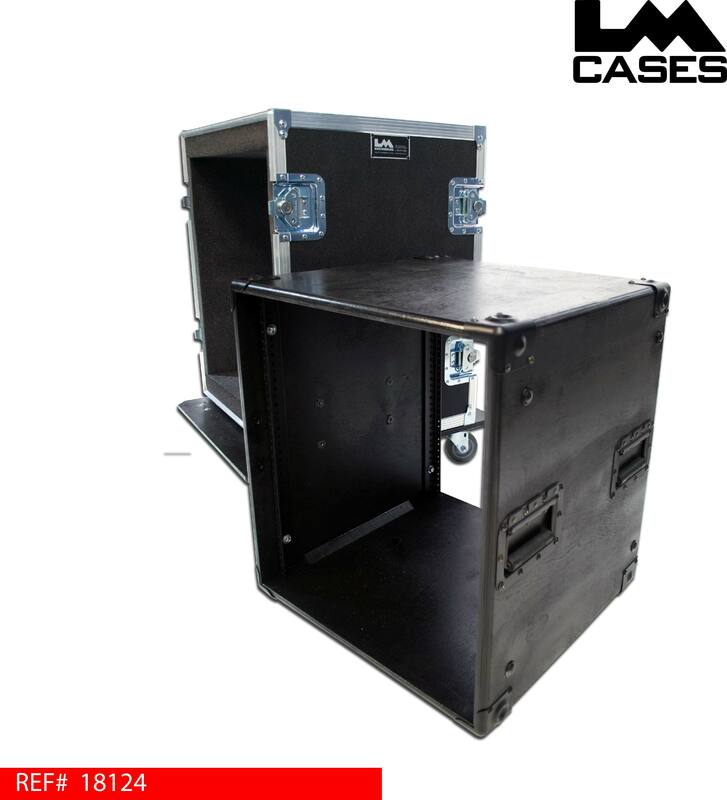 The inner rack shell features all black hardware and stacking corners allowing the rack to mate with other inner rack shells. The corners stack together using feet and cups that are pressed into the corner. The stacking corners allow you to stack the racks in all directions, including turning the racks on their sides.